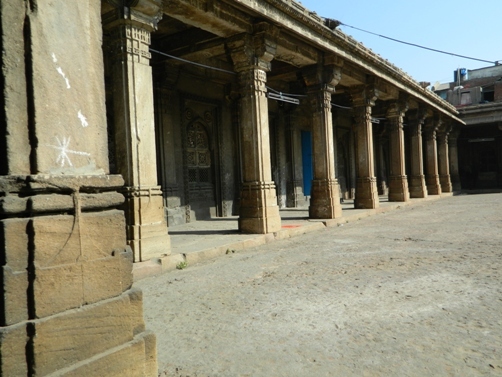 Rani no haziro is located in the east of Manekchowk that is in the old city of Ahmedabad. Rani no Hajiro (Queen’s tomb) is famous by its own name and is a market for women's clothing, jewellery and accessories. Rani No Hajiro was one of the earliest monuments built in the city in the 15 century by the great Sultan Ahmed Shah. It is believed that the uncharacteristic construction of an open air design of the courtyard was built according to the desire of Ahmad Shah’s queen. Three beautiful tombs of white marble are constructed. Rani no Hajiro as an urban lady and deck yourself in a traditional Gujarati woman’s clothing. Rani no Hajiro is oldest street market crafted especially for women. Shopping market is arranged on the street that goes towards the Queen’s tomb. Rani no hajiro is well known for providing wide array of traditional dress and accessories. 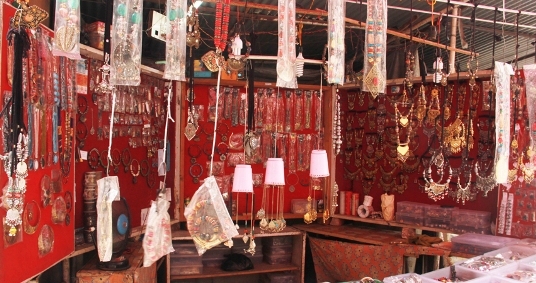 Chaniya cholis and oxidized accessories are the main attractions of the Ranino Hajiro Market. The stores in the colorful market sell bandhej, gamthi, lehrya and other similar kinds of traditional fabricsin Ahmedeabad City. Rani no Hajiro is now covered with big and small shops. Rani no Hajiro is known for traditional wears extremely vibrant before and during the auspicious festival of Navaratri.